Vendors at the Duke Farmers Market are from local restaurants on campus or nearby. Many of them have ties to Duke. Products: Handmade empanadas in the Argentenian style of Hernan, Santiago, and Ricky's family recipes. 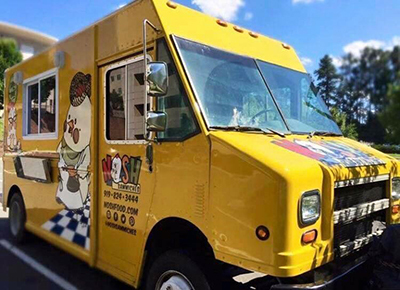 Offering meat, vegetarian, and vegan empanadas baked fresh, sides of cole slaw, beans and rice, spinach salad and house made sauces. Production practices: Makus Empanadas' authentic recipes come from grandparents, passed down to the kids in their home kitchen. 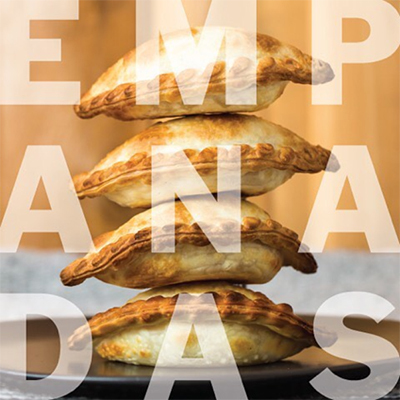 Makus Empanadas is built around the belief that good food doesn't have to be complicated and that the best memories can be built around something as simple as a pack of empanadas. 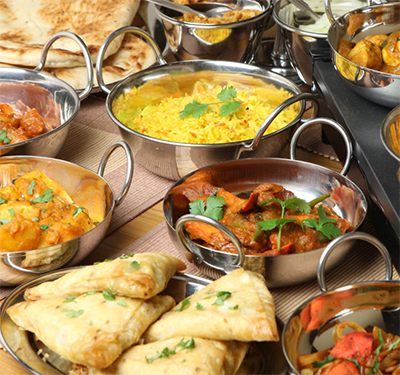 Products: Vegetarian and non-vegetarian Indian cuisine from North Indian, South Indian, and Tandoor traditions. Production practices: Nazara brings authentic home cooking of beautiful and taste-rich India to North Carolina. The English translation of the word Nazara is "beautiful scenery". Dining at Nazara will invoke the same feelings of happiness and contentment you would experience when gazing upon a beautiful scenery. At Nazara, we believe in doing things the Nazara way which means no compromises when it comes to freshness, quality, and service. Products: Find weekly specials fresh from the GRILL at the market: roasted veggies, burgers and more. NOSH at Jo Rae Cafe is known for eclectic foodstuffs. This location has an extra focus on healthy, wholesome and nutritious offerings at a student-oriented price and pace. Products: Stews over fresh herb basmati rice, herb patties, freshly baked bread, stuffed grape leaves, and other creations with exotic flavors from around the world, inspired by Mally's travel experiences. Production Practices: Fresh, local North Carolina produce with an international twist of flavors. 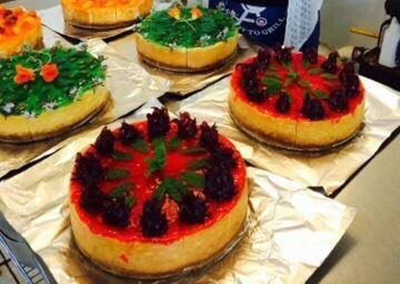 Gluten free and vegan options available. 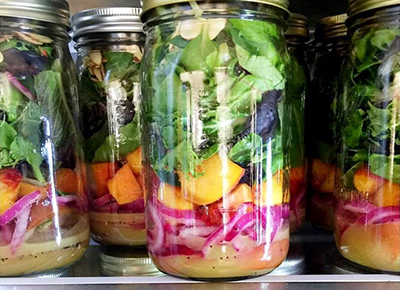 Products: Crafting delicious lunch options using what they source fresh from their farm in Hillsborough, Rockabilly Farm rotates their menu each week. You may expect deviled eggs on fresh greens, mason jar salads, and fresh-baked pies using seasonal ingredients. Production practices and history: Chef Deborah Stanton draws from her experiences as a professional chef, restauranteur, and farmer to make her own recipes and culinary creations. Deborah has been an award-winning chef for almost 20 years, cook book author & television personality on Food Network. Named as Top 100 Women We Love in the US, this 5-time honoree of James Beard House has been published in Art Culinaire. Deborah and Anni look forward to enjoying their new life as farmers and bringing the freshest farm ingredients to a convenient lunch stop at the market! Products: tamales, yucca pockets, salads, fresh juice; all vegan and gluten-free. 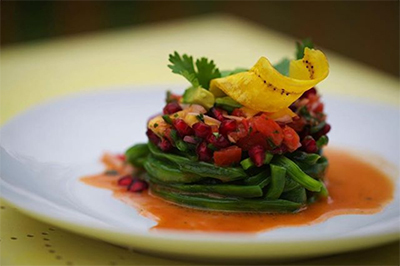 Production practices: Soul Cocina is plant-based company with a core focus on creating healthy, innovative and dynamic cuisine and products. By bringing together wholesome and nutritious ingredients, we honor age-old traditions and cooking techniques to create unique combinations. We believe in the concept of redefining and adapting dishes to respect sustainability and the availability of locally grown produce to create imaginative concepts. We can also be found every Saturday at the Durham Farmers Market!